Juddmonte entered into a private deal to purchase Coolmore's spot in the gate for the $12-million GI Pegasus World Cup at Gulfstream Jan. 28.
this was done to give Arrogate entry into the race But the Lads are set to run Stanford in the race so must have had 2 entries. For Aidan O'Brien, 2016 started with Minding at the 1000 Guineas in Newmarket and ended with Highland Reel at the Breeders' Cup in Santa Anita. The 25 Grade One victories by legendary American trainer, the late Bobby Frankel, in 2003 seemed unattainable. But O'Brien, 47, had twice reached 23 top-level winners in the past and for much of this year a new world best seemed almost certain, only to falter - if that is the word - at the very end. The last 12 months have been stellar by any high standards, and virtually unimaginable. It was a sign of things to come when he saddled the first three home in the Qipco 1000 Guineas with Minding, Ballydoyle and Alice Springs at Newmarket. He then went into the record books with a similar feat in Europe's premier middle-distance race, the Prix de l'Arc de Triomphe, courtesy of Found, Highland Reel and Order Of St George. If that was not enough, then he promptly mopped up the two major prizes for two-year-olds at Newmarket. Only O'Brien could back up a one-two with Rhododendron and Hydrangea in the Dubai Fillies' Mile by repeating the trick with Churchill and Lancaster Bomber in the Dubai Dewhurst Stakes just 24 hours later. His top-level tally on the Flat at that stage stood at 20. The magnificent Minding took it to 21 as she added to her 1000 Guineas, Oaks and Nassau wins when flooring the boys in the Queen Elizabeth II Stakes at Ascot on Champions Day. And it was back to that horse Highland Reel for No.22 as Seamus Heffernan gave the King George hero a truly magnificent ride in the Breeders' Cup Turf at Santa Anita, with Found third on her final run before retirement. O'Brien has, of course, had a lot to live up in scaling the heights of his predecessor and namesake, Vincent O'Brien, having moved into Ballydoyle in 1996. He won the crown jewels in both codes - the Cheltenham Gold Cup, Champion Hurdle and Grand National over jumps and the Classics many times over on the Flat in a splendid career spanning 50 years (1943- 1993). The Triple Crown is one omission from his glittering CV. 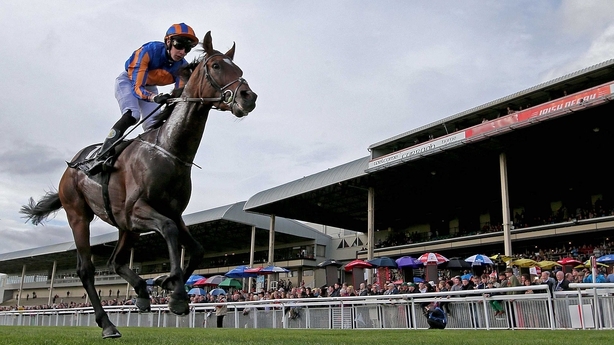 Vincent managed it with Nijinsky in 1970 and O'Brien went agonisingly close with Camelot in 2012. He was second in the St Leger after winning the 2000 Guineas and the Derby. With major races captured in Europe and North America, there were very few other territories to be conquered, although the Melbourne Cup is certainly a realistic objective in the future. Looking back on his achievements this year, O'Brien - who also saw Ivanovich Gorbatov win at Cheltenham in his name in March - was typically modest and quick to deflect the praise on to the people around him. He said: "Yes, we have had a good year, it's true. It is down to a lot of hard work by a lot of people. "We have been very lucky this season in that we have had some very good horses that have progressed throughout the year, and that has obviously been important in the year overall." Yes, 2016 was quite the year for Aidan O'Brien. "To saddle the first three in an Arc, and to get three horses there in top shape and beat the best around, is quite incredible. All the superlatives have been said about Aidan. He is one of the great trainers." "It's great to have the power of Coolmore behind him, but he does a brilliant job training them." "That man is so dedicated. So is the whole family. The amount of work and effort they put into running Ballydoyle and looking after those horses is exceptional." "It's not just yesterday or today or this year, he's been doing it for a long time. He's just a genius at what he does and I suppose all those Galileos is a huge help." "The man is just unreal. Having three runners in the Arc is hard enough, but to have the one-two-three is beyond belief." "In any of the business I have been in, Aidan shows the most attention to detail of anyone I have ever met. He is amazing the way he trains and knows his horses. His record is incredible." "He produces the goods time and time again. 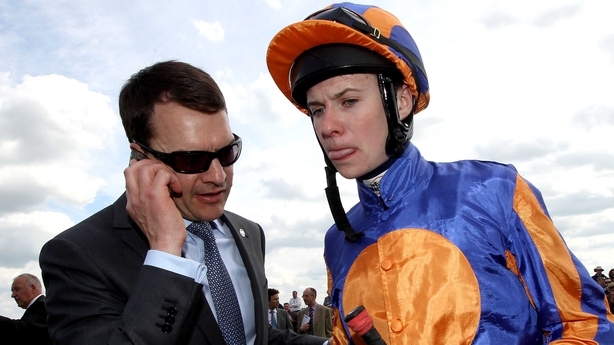 It would not surprise me if Aidan O'Brien were to become the most successful trainer of all time. That's not a matter of opinion, it's a matter of fact." "If I learned one thing from Dad, it was to try and keep things as simple as possible." Rest in Peace Walter from the AOBFS & JOBFS Teams he rode Aidan's 1st ever G1 winner Desert King in the 1996 National Stakes. Highland Reel had to settle for second as Satono Crown caught him just strides from the line in the Longines Hong Kong Vase at Sha Tin. Aidan's charge was attempting to repeat his victory of last year in the 12-furlong Group One heat and Ryan Moore was positive from the off, establishing a definite lead passing the post for the first time. The Michael Bell-trained Big Orange was initially settled in fifth by Damian Lane, but he decided to kick on around seven furlongs from home and moved up to try to exert some pressure on Highland Reel. However, Big Orange began to feel the effects of that move around three furlongs from home and he dropped away as a handful of horses prepared to challenge. Moore appeared to have their moves covered though and he had a clear lead with a furlong to run, only for Japanese raider Satono Crown to unleash a telling late charge under Joao Moreira. The Noriyuki Hori-trained colt passed Highland Reel in the shadow of the post, winning by half a length with over six lengths back to the third, the French runner One Foot In Heaven. Highland Reel was attempting to become just the third horse to post back-to-back wins in the race having won the King George VI and Queen Elizabeth Stakes and Breeders’ Cup Turf from the front in the interim. Aidan was thrilled with Highland Reel's performance, adding: "We had no choice but to make it a test off a very sedate early gallop. I'm delighted with him. He has run his heart out." Aidan O'Brien is hopeful that a tough campaign has not taken the edge off Highland Reel, who signs off for the year in the Group 1 Longines Hong Kong Vase, run at 6am Irish time tomorrow, at Sha Tin. A brilliant winner at the Breeders' Cup, it may be the son of Galileo's last run, with his future undecided. He has finished in the first two in 12 of his 19 starts, winning over €5m of prize-money. "He wouldn't be doing much at home since America, it being a busy year, but he seems to be fine," Aidan said. "He handled the track well last year and he is an incredible horse, the way he travels, the way he tackles all the big races. "He always had that temperament to travel, he has been very genuine since his two-year-old days; he can lead or sit in too. "You'd just be hoping there is enough left after a long season and we'll see about his future afterwards." Winner of the Group 2 Beresford Stakes as a Juvenile, Ol'man River went into his 3 year old campaign unbeaten and hopes were high that he would be a major classic contender but he never really managed to hit the heights he achieved as a 2 year old. The decision has now been made to retire Ol'Man River to stud At Arctic Tack Stud where he will stand alongside Aizavoski, Arcadio, Caudillo, Jet Away and Le Fou. His stud fee has not yet been published. Arctic Tack Stud in Wexford Ireland specialize in National Hunt Sires from the Sadlers Wells line so he fits to their criteria nicely. Ol'Man River only made one start under the Trainership of Joseph O'Brien he showed promise when finishing 4th in a conditions race at Dundalk on 23rd September but that now turns out to be his final outing. We wish him the best of luck in his new job. The Ballydoyle trainer has carried all before him in 2016, enjoying 22 Group One wins worldwide. Champion trainer in Ireland once again with 117 victories, he also took the title in Britain with 13 Group One victories alone. 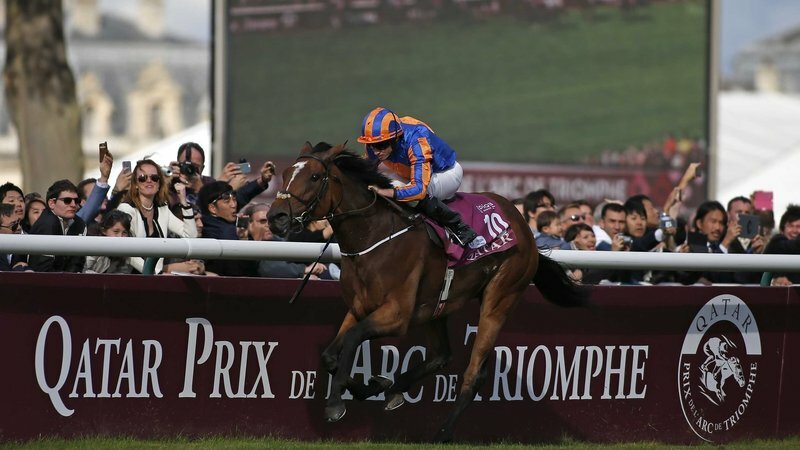 O'Brien also had the distinction of saddling the first three home in both the 1000 Guineas at Newmarket and the Prix de l'Arc de Triomphe at Chantilly. Despite his own stellar achievements, O'Brien pointed to the Moyglare Stakes win of Intricately as a particular highlight in 2016, with the filly being trained and ridden by his two sons, Joseph and Donnacha respectively. "Obviously we're delighted to win it. As everyone knows, we're a small part of a big team and we're very privileged to win it," he said. "The Moyglare was great. We finished second but for the lads, Joseph and Donnacha, it was incredible and the Arc was an incredible day for us too really." Minding, one of O'Brien's star performers, was named Horse of the Year. Owned by Derrick Smith, Sue Magnier and Michael Tabor, Minding won five of the seven Group One races she contested this year with her victories coming in the 1000 Guineas, Investec Oaks, Pretty Polly Stakes, Nassau Stakes and Queen Elizabeth II Stakes. Highland Reel looked in good shape for his defence of the Longines Hong Kong Vase on Sunday when working at Sha Tin on Monday morning. Aidan’s remarkable globetrotter cantered for a lap of the track under regular work rider Davy Bergin and showed no signs that an exhaustive sequence of races all around the world were catching up with him. Cougar Mountain, his stablemate, who will run in the Longines Hong Kong Mile on the same card, followed him under Craig Bryson. He was a little more on his toes than his companion. Highland Reel is a general evens to become the third dual winner of the Hong Kong Vase in the race’s 22-year history. Luso (1996 and 1997) and Doctor Dino (2007 and 2008) are the pair he will attempt to emulate. The globetrotting four-year-old, all-the-way winner of this year’s King George VI & Queen Elizabeth Stakes and Breeders’ Cup Turf, provided Aidan O’Brien with his first success in Hong Kong when triumphant 12 months ago. 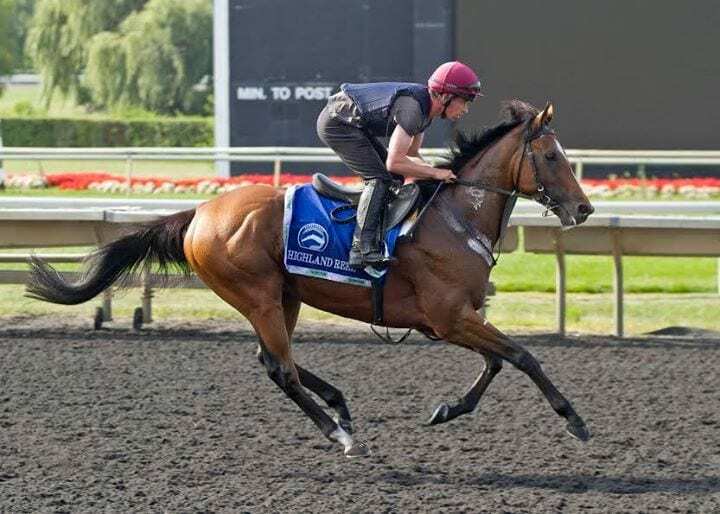 Highland Reel is the world’s most widely-travelled top-class racehorse of recent times – and certainly the most successful globe-trotter currently in action. The Galileo colt has contested 14 races at the highest level in seven international jurisdictions in the past 18 months – winning four and finishing runner-up to Juddmonte International Stakes (to Postponed) in the Prix de l’Arc de Triomphe (behind Found). 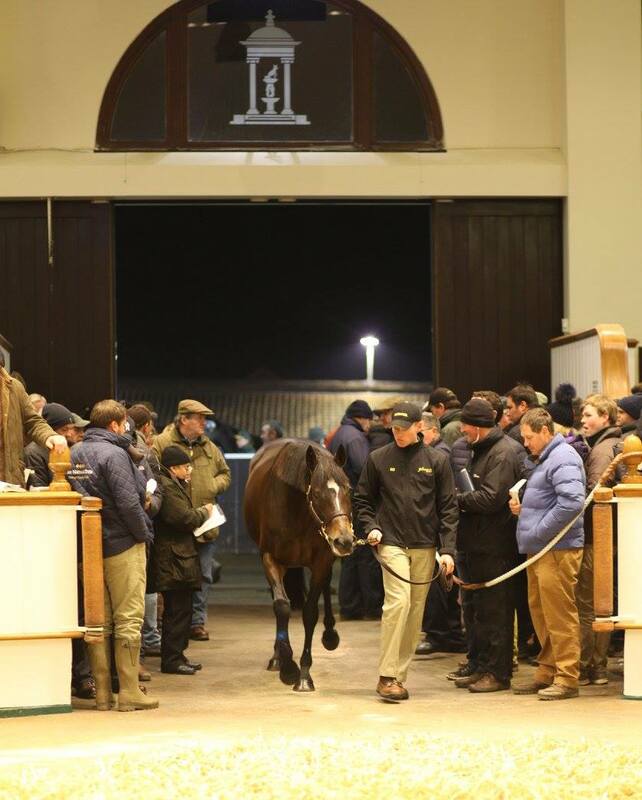 Hazariya, dam of dual Derby hero Harzand, sells to MV Magnier for 2,000,000gns. Sheikh Fahad the underbidder. Magnier very nearly secured the mare at 1.7 million guineas, but a late bid came at the top of the stairs from Sheikh Fahad, forcing Magnier to round up to 2 million guineas to secure his prize. 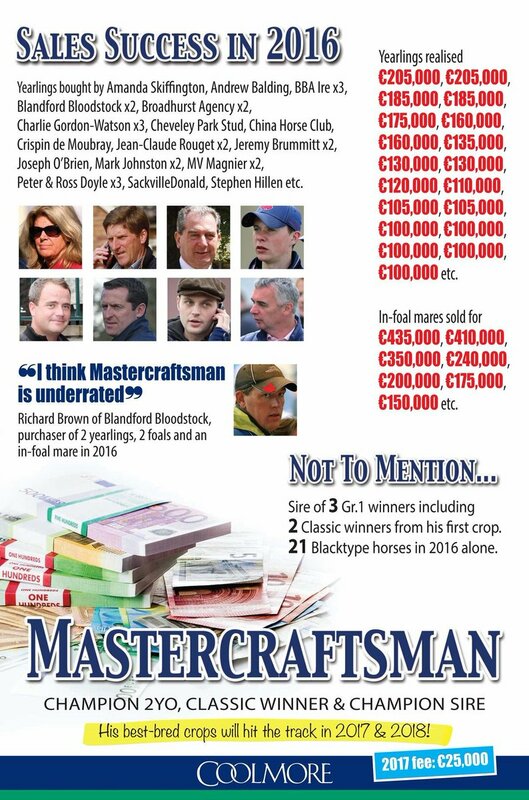 Underbidders included Badgers Bloodstock and Seamus Burns. 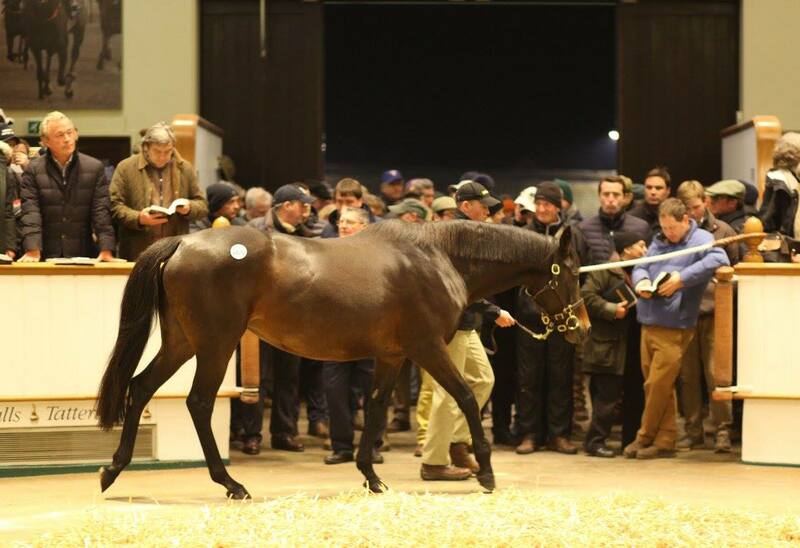 The daughter of Xaar, sold by Newsells Park Stud in foal to Invincible Spirit. "She's a lovely mare, any mare that breeds a Derby winner is special," said Magnier. "Dermot Weld was praising the two-year-old [Haripour] to me. We'll bring her home and she'll go to Galileo. She's for my parents, Michael Tabor, Derrick Smith and Mayfair Speculators." "She was good commercial business as they say," said the stud's Julian Dollar. "She's a lovely mare who has been a pleasure and a privilege to look after the past couple of years. The guys at the farm have done a lovely job with her, she looked a picture. We've got two lovely fillies to race out of her and we wish the team at Coolmore all the best, she's going to good hands. "The Derby victory changed the whole thing and we felt she was a 14-year-old mare. It was now or never - it was this year or we keep her. We're a self-sufficent operation, we don't get any injection of funds and we have to make it work, as sad as it was it makes a lot of sense to put her through the ring."